Look out for Iniva's Emotional Learning Cards at this year's Frieze art fair in Regent's Park. If you missed the event, the audio recordings of the talks and discussion are available below. 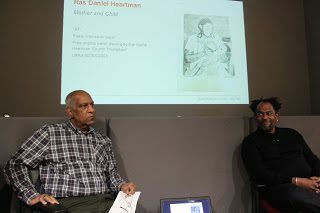 Curators Makeda Coaston and Dr. Michael McMillan and artist Errol Lloyd talked about their archival research for the exhibition, and the curatorial challenges. They recounted personal experiences from their involvement in Black British Art during the period. No Colour Bar features art work from twenty Black British artists from the 1960s to the 1990s. 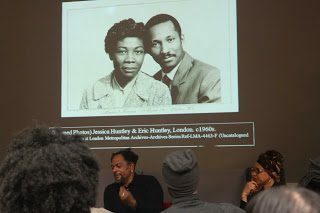 The speakers explained why the focus of the exhibition is the work of Eric and Jessica Huntley; radical activists and founders of a London publishing house and bookshop. 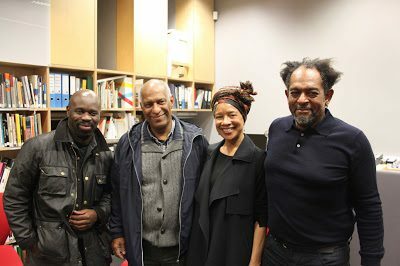 The Huntleys played a vital role in promoting black culture and visual arts in the 60s and 70s and the impressive recreation of their Walter Rodney Bookshop is the centrepiece of the exhibition.